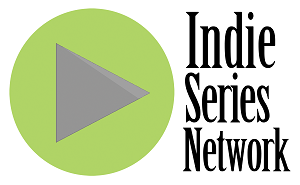 The Indie Series Network and We Love Soaps present the "Indie Series of the Week" poll. In last week's results, Red Sleep was voted favorite web series for the seventh consecutive week. It's now time to catch up on all the new episodes and vote for your favorite series in this week's poll. You can also cast a vote for your favorite actor, actress and web series couple/duo. Voting ends Tuesday, June 3 at 12 p.m. ET (one vote per person per day). Web series that aired one or more new episodes from May 25-31, 2014 are eligible. If an indie series aired this week and is not on the list, cast your vote as "Other" and write in your choice. - The Boys Who Brunch Season 2 Episode 4 "Crossroads"
- Lungs Episode 13 "The 100-Mile Flower"
- Misdirected Season 2 Episode 4 "Listen"
- Two Housemates Episode 6 "The Ghost of Ryan's Past"
- Wallflowers Season 2 Episode 6 "My Own Worst Enemy"
- We Are Angels Episode 12 "All Will Be Blindness"
- Winners Episode 11 "Acting is Hard"